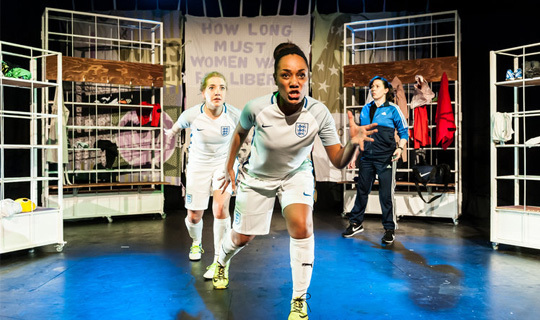 a new play putting women's football centre stage. is every little bit of the field in front of me. It is 1881. It is 1921. It is 2017. Four women from across the centuries live, breathe, and play football. Whilst each of them face very different obstacles in pursuing their dream profession, the possibility that the beautiful game will change their futures – and the world – is tantalisingly close. Offside is told through lyrical dialogue, poetry, and punchy prose, placing the audience on the touchline of the game of a lifetime.